Jessica Brewster is being watched...and things go missing from the remote Wyoming home she shares with her toddler. 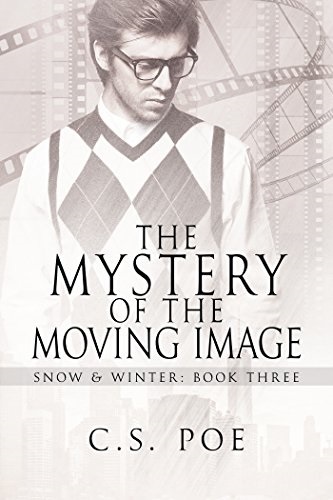 In a freak accident, she shoots the bearded thief stalking her before she recognizes the mesmerizing green eyes that belong to the only man she ever loved. I want to begin my review by stating that I did not read the first book in the series, The Accidental Wife, but that did not prevent me from following the story line and enjoying this book. Jessica Brewster is living in Wyoming after returning from 1886 and leaving behind the only man she ever loved. The one thing she has as a constant reminder of Mitchell is their son Scout who is now two. She is living in a cabin very much like the one she lived in with Mitch and if it wasn’t for her cousin Jake she would not be doing as well as she is. She is selling the soaps and lotions she learned how to make in the past and is content to live far removed from others. When things begin to disappear she wonders if an animal is doing it but when a pie tin is returned with a flower in it she knows that she is being watched and robbed by a human. With Jake’s insistence she begins to carry her gun and that gun and the addition to her garage for a hen house will change her life in ways she could never have dreamed of. When Scout and the contractor’s dog Sadie disappear from view he is discovered in the path of what appears to be a bear and without hesitation Jess shoots it. When Chuck the contractor goes to finish the job he is shocked to find that it is a man wearing a bearskin poncho and the biggest shock is when Jess looks into the man’s eyes and sees the eyes of the man she left back in 1886. She shot the father of her child a man she hoped had come looking for her. At the hospital Jess lies and says he is her husband Mitch and when he is released she introduces him to his son. She now has the love of her life and her son and things couldn’t be better other than the fact that Mitch has no memory. Jess selfishly hopes his memory doesn’t return and that he doesn’t remember the wife and child he left behind but there is more to this man than she ever could have expected. Jessica is determined to take things slowly and although there appear to be differences between the Mitch she knew and the new Mitch now in her home she pushes those differences into the back of her mind. Is this really Mitch? Is this man a stranger who has Mitch’s eyes? We do return to the 1880’s but why I do not want to reveal. There are questions and surprises and all is answered by the end of the book. I will say that my favorite part of the book was Scout and Sadie the dog but then who doesn’t love kids and dogs.